Man, do I love me some tweaks. I'll never get tired of decks that adjust to the meta, nor will I ever talk bad on people who switch up existing builds to make them better. We return to that theme this week with Meati, who took the classic Big Spell Mage list and made some serious shifts to the classic cards. This slower Mage deck has looked similar for a while, but this breaks that mold. This version is interesting because it does quite a few things differently than past iterations. The biggest is that it incorporates a much different curve and removal package from which we've seen. Though a lot of the big AOE is still here, the cards around the edges have shifted quite a bit. The Waiting Game Before we get into specific cards, we have to step back for a second and look at this deck as a whole unit. I know I've been doing this more as of late, but it's an important part of understanding how certain archetypes work. The number one aspect you need to get in control of when playing this deck is patience. It is so easy to pull the trigger too early with your cards because you get too excited. Remember, once your opponent knows your game plan all of their plays are going to be with AOE in mind. The idea is not to blow them out (though that can happen), the idea is to hit them hard enough that they have to rebound with more than one or two cards. The way you evaluate your plays almost always depends on your hand. You should constantly ask yourself, how much AOE do I actually have? That will then tell you how you can make your plans. 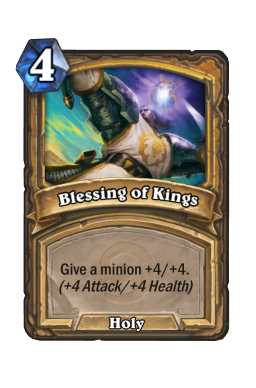 For example, if you have three or four clear spells against Paladin, you can easily burn one to get your opponent to play Call to Arms into another clear. 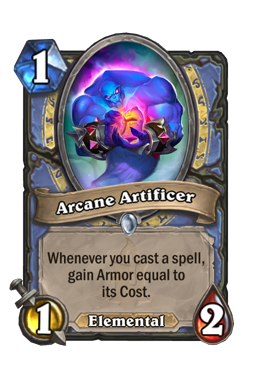 However, if you only have one AOE in that position, you absolutely need to hold onto it until the four mana spell comes down. That means you should work to control the board or bait out Call in different ways. Don't blink in the face of pressure, use your hero power, and lean on your minions. That can be a bit nerve-wracking, but it is important to stay calming while taking things slow. 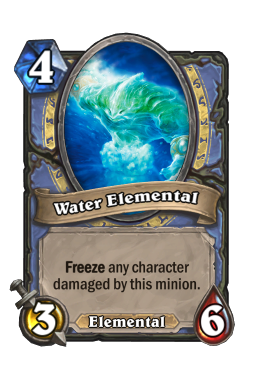 Ice Block You all know that I am not a fan of running Ice Block in any Big Spell Mage variant. However, who am I to argue with a legend list that put up good numbers? My own biases aside, the secret does work well in this build for two different reasons. 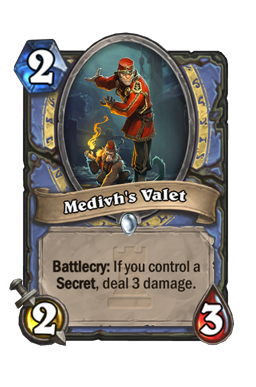 The first is that enables you to run both Arcanologist and Medivh's Valet . 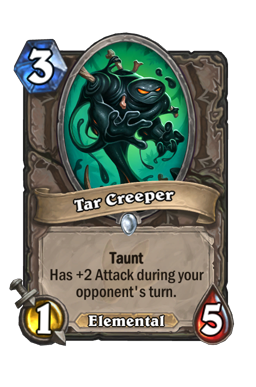 As you can tell by the Tar Creeper s, one of the most important parts of Big Spell Mage is that it can (and does) fight for the early board. You have strong AOE, but getting there is not always easy. Being able to slot in four two drops is a great way to ensure you can fight off faster decks before you get your engine going. You do not necessarily need the cards to do that much, but extra removal is never a bad thing. The other reason Ice Block is so strong is because it helps you reach your end game. It is easy to look at the secret and assume it is here to combat aggro, but between your early threats and late-game AOE that should be no problem for you. Rather, this spell is much more for midrange or control decks (especially things like Big Spell Priest or Midrange Hunter) where you need to do your best to get out ahead of or buy time against much bigger bodies. There are not many true midrange builds in the meta right now, but you'd be surprised how many times you need to ignore lethal. Having that one extra turn against most popular builds can give you the push you need to set up a finisher or dig for AOE. This is not a card that you're going to lean, but it is a great tool to have up, especially in the later turns. Cabalist's Tome How much impact can one card have on a list? Turns out quite a bit. 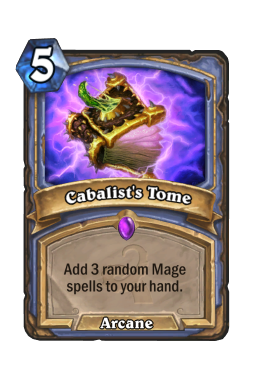 Cabalist's Tome is not a card you see in many of these lists, but it adds a lot of punch and gas to a deck that can lack it. Yes, you can clear your opponent's board over and over, but there are many games where you don't get your finishers and have no way to close things out. Tome helps solve that problem because three random Mage spells often act as some type of power. 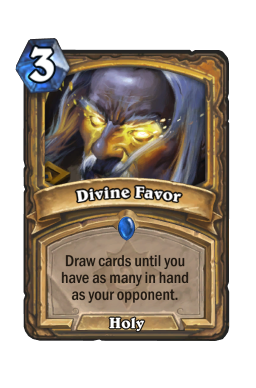 More removal is the most usual avenue here, but you net card draw quite a bit as well. This is not a pressing card that you need to work towards, but it is something to do in the slower games. That is very important, especially in control matches when you're searching for things to do. Just be sure to use this card when your hand is a bit low. Drawing three cards (a net of two) is nice, but it can also lead you into situations where you have to burn a card. Avoid that at all costs. Also note that Tome is a great card to lean on when you have no answers. Yes, you may seem dead to rights, but there are a lot of Mage spells out there. You never know which one you're gonna find. 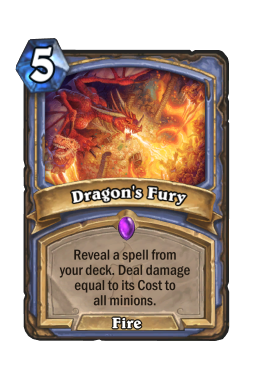 Blizzard Blizzard is always worth discussing in talking about Big Spell Mage because it is, quite frankly, the best AOE in the build. 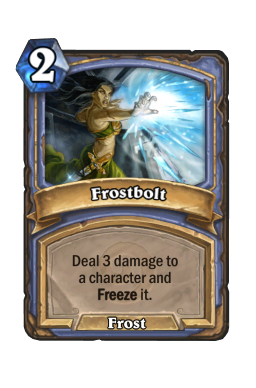 The ability to do two damage has its uses, but this truly shines because of its ability to freeze. Many people assume that Big Spell Mage plays like Freeze Mage, where you run out a ton of stall tools and Doomsayer s until you kill your opponent in one blast. That is not the case at all. Rather, you are a control deck much more akin to Control Warlock, where your entire goal is to grind your opponent down to nothing. Yes, sometimes you win with a big finisher, but more often than not you simply run your opponent out of cards and they concede. Big AOE is important to that end, but Blizzard is much more useful because it keeps your opponent off the board. Blizzard is one of the few cards that buys you time without tipping or selling your more valuable resources. 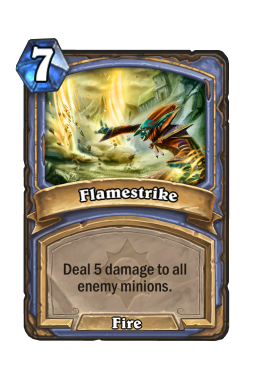 Where Flamestrike and Meteor are hard clears that give your opponent a way to instantly rebound onto the board, Blizzard puts your opponent into an odd spot where they either add a bit more to put on pressure, or they hold back and essentially give you a free turn. Know this, and do everything you can to set up the freeze spell in a way where your opponent is going to be the most uncomfortable. Sometimes you have to lock down six or seven cards, but getting three or four is the sweet spot. 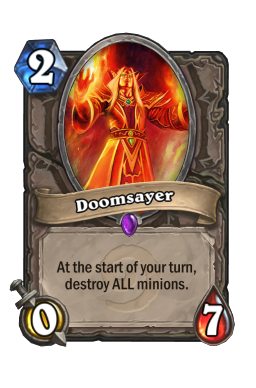 In addition, as this is your only freeze, it also works wonders with Doomsayer . That combo is easy to forget, but holding the two drop until turn eight and beyond can be a good move. 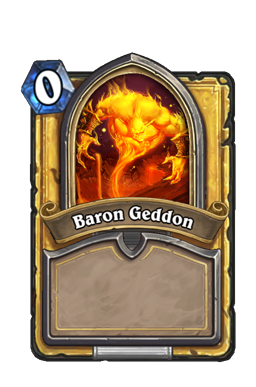 Baron Geddon Another big shift in this build is the inclusion of Baron Geddon . The seven mana legendary seems like a no-brainer here, but it is not a common choice for these decks. There are two reasons he is so powerful. The first is, of course, his AOE. You should never expect Geddon to live more than one turn. Rather, he is a clear or damage on top of a must-kill body. That is always powerful, but it means you need to get him into a situation where he is going to make an impact. The legendary is amazing as a tempo play against faster builds, but he also works wonders with Frost Lich Jaina . 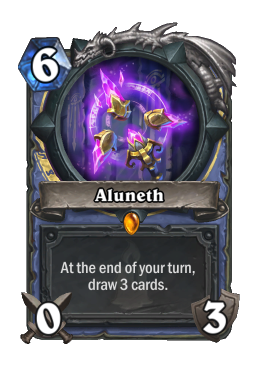 In fact, the interaction with the Death Knight is so strong that you often want to wait until the nine drop comes down out if you have him during the later turns of the game. Easily the hardest part of Baron Geddon is figuring out where to run him out. The 7/5 is undeniably powerful, but that doesn't mean you just want to play him when you can. You are working solely for value with the seven drop, and it is ok to get a little greedy. While it never pays to wait too long and let your opponent run you over, holding back when you have other options is almost always a good idea. Always work to place him down into a position where he can get you a lot of value (perhaps after a Blizzard ). Then, your opponent will spend their next turn answering him, keeping you in control of the game. That control is what you want to aim for as much as you can. The four decks I see the most while playing the ladder. Control Warlock Warlock seems to have won the last meta, and it continues to be the strongest deck up until the very end. This game is all about one card: Polymorph . The sheep spell is your win condition in this one because it neuters everything Warlock wants to do. A big part of using the card is figuring out early on what type of deck your opponent is playing. 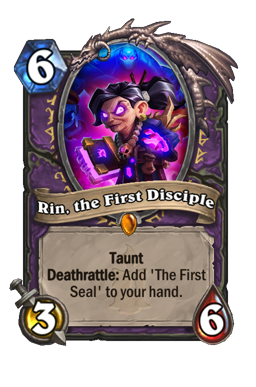 If they're classic control, you absolutely need to save Polymorph for Rin, the First Disciple . No exceptions. However, if they're Cube Combo, you then want to use morph on Doomguard s. It can be very tempting to go after Voidlord s, but you can easily chip the 3/9's down through AOE. Never pull the trigger too early and don't get nervous. The demons are big, but they are only three damage a turn. You can handle that. 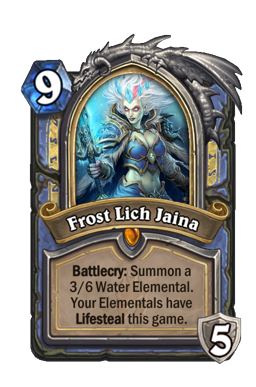 The other half of this game, as always, is getting to Frost Lich Jaina . 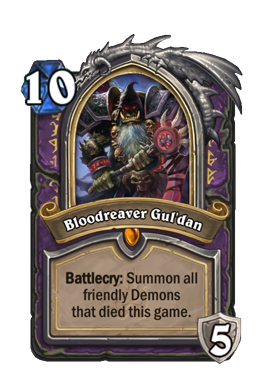 Your opponent is going to have removal for just about everything you do, especially when they shift over into Bloodreaver Gul'dan . The way you fight that is by creating a near-endless stream of Water Elemental s. Warlock only has so many threats, and, barring a random Rin, the First Disciple , you will always go into fatigue second. For that reason, you can easily win this game with just one or two bodies. Patience is key in this matchup. You're going to go into fatigue. Don't worry. Conserve your spells, force your opponent to commit to the board, and slowly grind them out of resources. As soon as their big finishers are used up, they won't have a leg to stand on. Aggro Paladin And here we have the best reason to play Control Mage. I have fought against Paladin more than a few times with this build and I can safely say that, barring some insane starts or horrible draws, it is almost impossible for you to lose. 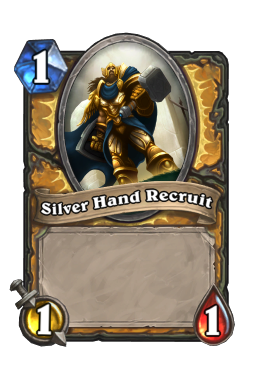 You have a ton of different minions in the early game that can chip down Silver Hand Recruits, as well as ample AOE to make sure your opponent never gets a handle on the board. Everything about this game is getting to your first clear spell because, once that hits, you should be able to keep the train rolling all game long. The only thing you want to watch out for is playing into Divine Favor . Though most of the time it isn't avoidable, don't be afraid to burn cards just to limit how well your opponent can rebound after a clear. A big part of this game is understanding that you're going to take damage. It is very easy to become too defensive here, which can lead you to make sub-optimal plays or take the wrong path. You do not have to get nervous. As strong as Paladin is, their burst is regulated to Murloc buffs, Level Up! 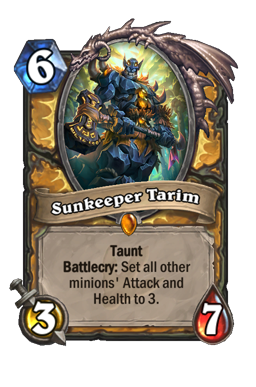 , the odd Blessing of Kings , or Sunkeeper Tarim . As long as you know that and realize your opponent's damage potential, you should be fine taking a few hits here and there. It is also important to realize that Uther has no out-of-hand damage beyond weapons and Knife Juggler . Sitting at 5 to 10 life against a clear board is almost always fine, especially if you have some sort of healing coming in a turn or two. Big Spell Priest I have no idea what Priest is doing these days, but the class always seems to be focused around midrange threats. The dragon package is incredibly strong, which doesn't bode well for you. The reason Priest is such a difficult matchup is because they have a ton of gigantic minions. They do not have to play into AOE, which can create some serious problems for you. As such, the way you win this one is by getting your opponent to commit multiple threats onto the board at one time. You can't blink here, and you need to work hard to conserve your removal. 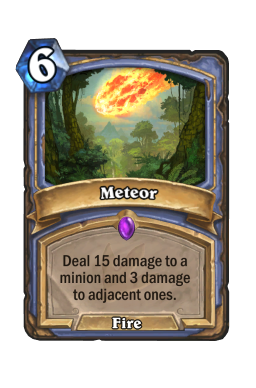 Blizzard is one of best ways to force out an extra card or two, as are things like Meteor . You don't need to do a lot on your turns. See what your opponent plays, compare it to your overall health/healing and react accordingly. You need to lean on your minions in the early stages of the game, but they also work well in the middle parts as a way to put on pressure or get your opponent to react. 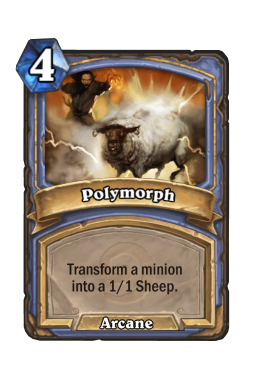 Just be sure to save Polymorph for Spiteful Summoner . Not having an answer for the six drop is almost always going to lead to a quick loss. 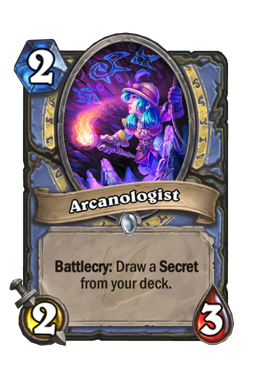 Secret Mage Though it feels as if the meta is the big three, there is still some other decks thrown in. One such build is Secret Mage which, as you can imagine, is an absolute nightmare for this deck. However, it is not an auto concede like it was in the past. That is because you have a lot of early minions to drop down and contest the board, as well as a good amount of healing once you try to stabilize in the later turns. 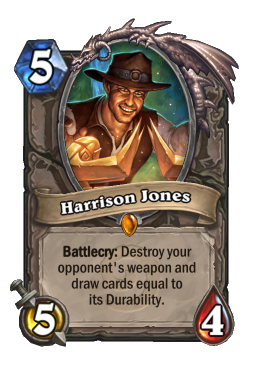 Aluneth is going to be a problem, but if you can get Harrison Jones out, or if you have enough healing, you can take this one down in fatigue. The other tough aspect of this game is trying to play around Counterspell . 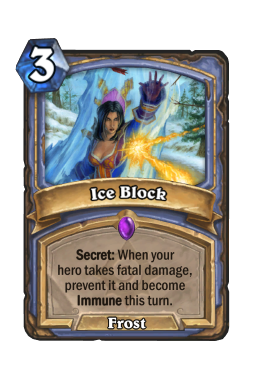 Save any cheap spells you can (including Ice Block ) for the secret and try your best to set up big AOE. 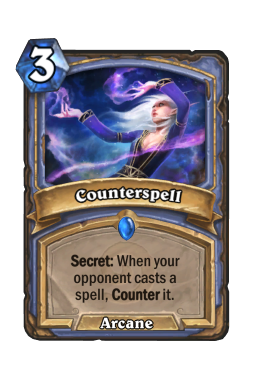 You can also use a more expensive spell to trigger the secret if your opponent is putting on no pressure or has a dead turn. The entire plan here is to get to an Arcane Artificer plus a big spell. 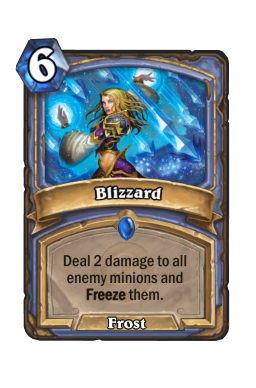 One giant heal won't often be enough to take this one down, but it should be enough to allow you to get to Frost Lich Jaina . The Death Knight is almost always game over for your opponent because they either remove your elementals (costing them damage) or they get into a futile race. Turn nine is the goal in this game, but it is very easy to get overrun before that. Liberally use your removal spells here. Every piece of damage you take is one step closer to death. It may feel odd to AOE down a one and two cost minion, but that's how tight this matchup is. Letting even one threat live is often going to be the last mistake you make. Mulliganing with this deck is always interesting because you want early minions, but there are many matchups where you also want some bigger spells. 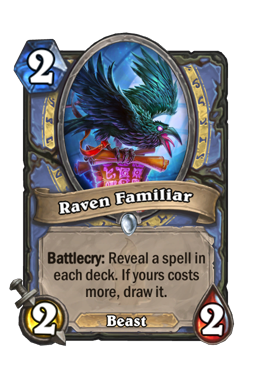 The general rule is to always keep Arcanologist , Doomsayer , Tar Creeper and Raven Familiar . 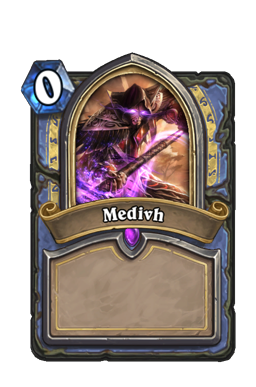 Medivh's Valet is great against aggro when you have a slow or awkward draw, and you should always keep Cabalist's Tome against slower control decks. 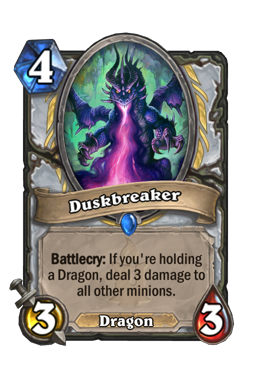 Polymorph should always be kept against Warlock, and Dragon's Fury is good against aggro or midrange when you have a strong opening. Oh, yeah. I loooove me some Control Mage, and you better believe I already have some odd new lists in mind for Witchwood. However, I don't want to get ahead of myself just yet. This build definitely has a lot of things going for it, and the switch to different minions along with a couple extra tech cards really helps push it up to another level. Never underestimate the impact a few changes can have on a build, and never underestimate just how strong one or two cards can be when attacking a meta. Until next time, may you always draw off your ravens.